Healing with Reiki | The world is better with you in it. ← Why Do You Want me? Reiki is described as a Japanese energy healing system used originally for spiritual development, and now is mainly used for hands-on healing. Discovered and refined by Dr. Mikao Usui in 1922, it’s a healing modality based on the idea that an unseen life force energy flows through everything and everybody including all animals, plants, every part of the earth, and the universe around us. It is what creates life. Rei means “spirit” and Ki means “energy. All things are made of energy, thus all things consist of Reiki. It’s not a religion, but it is spiritual in nature, and is a simple, natural and safe method of spiritual healing and self improvement. Reiki is an easily learned process that treats the whole person including the body, emotions, mind and spirit. All you need is a Reiki Master to teach you healing techniques and attune your energy into the Reiki flow of life force energy. There are several levels – level 3 is when you can become a Reiki master. You can be at level one to begin working on others, and since it is an equal transfer of energy between client and practitioner, the more you practice it, the stronger you get. Treatments have been described as “a wonderful glowing radiance that flows through and around you,” and has many beneficial effects that include relaxation, feelings of peace, security and well-being. The practitioner creates an energetic safe space to support the self-healing process of the being to whom she is in contact with. It has been effective in helping every known malady and illness, complimenting modern medicine. Many traditional doctors all over the world are now using Reiki to assist in their patient’s healing process. And it’s perfect for our pets. 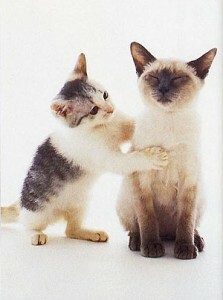 Kathleen Prasad is a visionary that saw how Reiki is a tremendously helping healing modality for our companion animals. 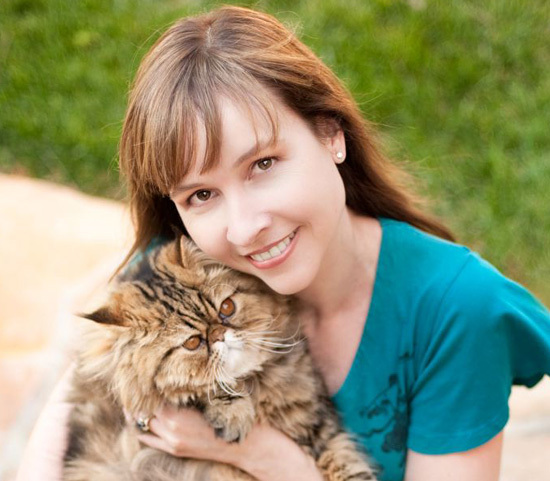 She travels the world to teach seasoned as well as new practitioners how easy it is to work with our furry and feathered friends. She says that Reiki is ideal for use with animals because it’s gentle, noninvasive, and doesn’t require physical contact. You’re creating a healing flow between your energy to their energy with their permission. The animal you are practicing with is the one who chooses what needs healing or not, so there is no invasion of personal space. All you have to do is stand or sit a little distance away and intend healing. 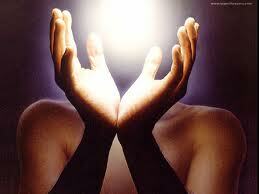 The energy flows through you and out of your hands to find and heal without conscious manipulation. While you’re in the flow of Reiki the animals will either come closer to you, go away, or lay down and go to sleep because of the relaxing effect you are creating. When they are ready to quit they will give you a sign, such as stretching or leaving the room. You really don’t have to do anything else. The healing response of the Reiki treatment will last long after the session has ended – the healing continues on even when you’ve finished for both of you. I wish I had discovered Reiki earlier in my life. It would’ve been beneficial for my quest to become an animal communicator. Even though Reiki doesn’t necessarily open a communication with your animal client, it can aid with an energetic connection that is necessary for the communication process. I’ve only been a practitioner for a short time and already I can feel the power grow around me. The more I practice, the stronger I get. It’s amazing. If you’ve tried Reiki for yourself, think about the benefits for your companion animal. There’s no special training so any Reiki practitioner can assist your pet, or you can be attuned yourself and practice with them on your own. Either way you’ll both live better, healthier, calmer lives.